VLADIVOSTOK, RUSSIA - Prime Minister Shinzo Abe and Russian President Vladimir Putin agreed Monday to step up efforts to realize planned joint economic activities on disputed islands off Hokkaido, while making little progress on the territorial issue. In a news conference after their summit in Vladivostok, Russia, Abe renewed his commitment to concluding a post-World War II peace treaty with Putin, which Tokyo and Moscow have not signed due to the territorial row over the group of islands. Abe said he and Putin approved a “road map” to realize activities on the islets in five areas — aquaculture, greenhouse farming, tourism, wind power and waste reduction — which they agreed on last year. Deputy Chief Cabinet Secretary Kotaro Nogami, who briefed reporters, said the two countries decided to cultivate sea urchin in the sea and farm strawberries in greenhouses, among other activities, but provided no details on the timing or location of any project, citing ongoing consultations. Japan is looking to build trust through such activities, to pave the way for settling the decadeslong territorial spat over the Russian-held, Japanese-claimed islands and eventually signing a peace treaty. 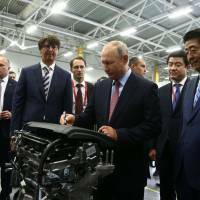 Russia, for its part, aims to attract Japanese investment in the resource-rich but underdeveloped Far East region. The islands of Etorofu, Kunashiri, Shikotan and the Habomai islet group were seized by the Soviet Union after Japan surrendered in World War II in August 1945. Abe said the two countries will dispatch business missions in early October after failing to do so last month due to bad weather. It remains unclear whether the two sides will be able to come up with a special framework that does not compromise either side’s legal position on the islands’ sovereignty, or create legal problems in implementing the economic activities. 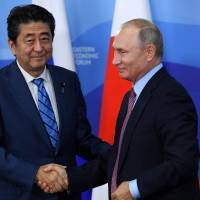 The Abe-Putin summit comes ahead of large-scale military exercises planned by Russia in the Far East and Siberian regions, although Moscow has explained they will not take place on the contested islands. 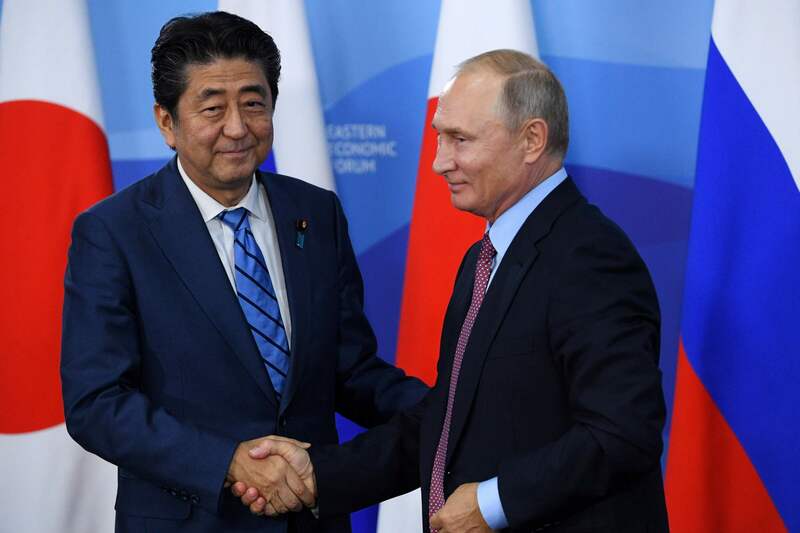 Abe told Putin that Japan is “keeping a close eye on” the development, Nogami said, without elaborating further on their exchanges. On a shared regional security concern, Abe and Putin confirmed their close cooperation toward the denuclearization of North Korea ahead of what will be the third summit between South Korean President Moon Jae-in and the North’s leader Kim Jong Un, scheduled for Sept. 18 to 20. But they still appeared to be apart on their approaches to that goal. Abe repeated the necessity of completely implementing U.N. Security Council resolutions on the North, while Putin said he hoped various issues related to Pyongyang would be settled in a political and diplomatic manner as a result of the promoted inter-Korean talks. The Eastern Economic Forum has been held since 2015, under Putin’s initiative, aimed at attracting investment to the Far East region. Kim was invited to the event, but the Russian government said he will not take part. Abe is scheduled to deliver a speech in Wednesday’s plenary session, along with other participating leaders. 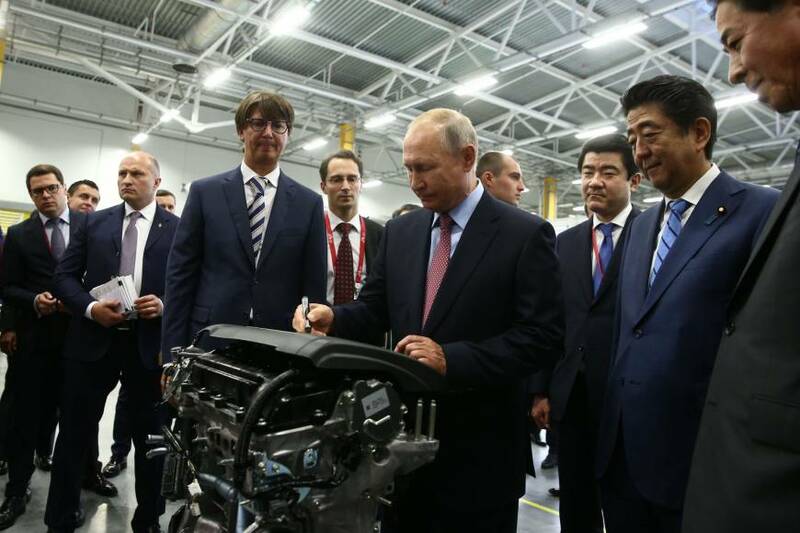 During his four-day stay in Vladivostok, Abe is scheduled to separately meet with Chinese President Xi Jinping and Mongolian President Khaltmaa Battulga, according to Tokyo, having met with South Korean Prime Minister Lee Nak-yeon on Tuesday. In the Japan-China summit, scheduled on Wednesday, Abe and Xi are expected to talk about how to promote ties further as this year marks the 40th anniversary of a bilateral peace and friendship treaty. As part of high-level reciprocal visits, Abe is looking to fix the date of his planned visit to China on Oct. 23, when the treaty took effect 40 years ago, Japanese government sources said.